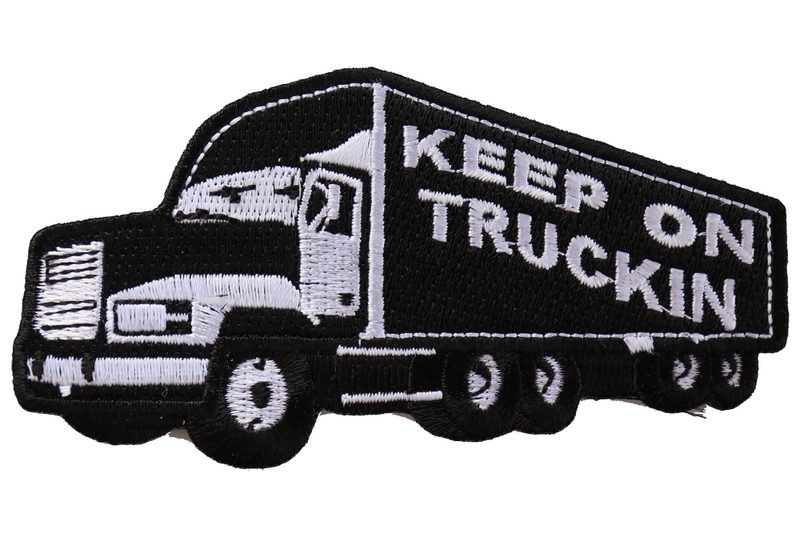 Keep on Trucking Patch is embroidered in Black / White. Measures 4x2 inches. 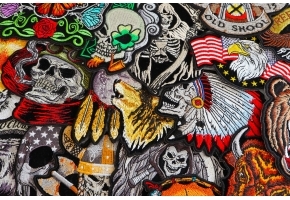 The patch can be sewn or ironed on. 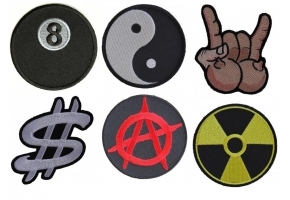 Do not iron on patches to leather or nylon material.